Scottsdale, Arizona is an active community, which is why Frank Sorrentino, DC, and Sarah Peddie Sorrentino, DC, at Grayhawk Family Chiropractic, LLC treat the full spectrum of sports injuries in men, women, and children of all ages. For the best sports injury treatment without drugs or surgery, call the team at Grayhawk Family Chiropractic or schedule an appointment online today. These injuries happen suddenly, like when you fall or have an accident. Common acute injuries include sprains, strains, and broken bones. These injuries are the result of repetitive motions, such as running or swinging a golf club. Overuse injuries develop slowly over time and often become worse without treatment. Common overuse injuries include runner’s knee, tendonitis, and golfer’s elbow. The team at Grayhawk Family Chiropractic has extensive experience working with patients of all activity levels in the North Scottsdale area, from professional golfers to weekend warriors and high school athletes. Their integrative approach involves collaboration with various local orthopedic surgeons so you can return to your sport as soon as possible. Dr. Frank and Dr. Sarah are athletes themselves, both in Crossfit and racing in local triathlon and running events. In addition to their professional training, they offer firsthand knowledge of many types of sports injuries. No matter what type of sports injury you have, they thoroughly evaluate and diagnose your condition to determine the best treatment plan. 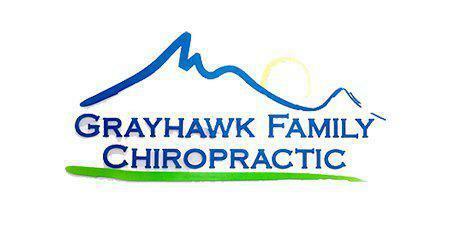 First, Dr. Frank or Dr. Sarah carefully evaluate your condition and review your medical history. Depending on your condition, they may refer you for X-ray tests to examine your skeletal structure. The practice offers a variety of gentle, non-force manual techniques to suit the needs of pediatric and older patients. The team at Grayhawk Family Chiropractic may also recommend cupping therapy, which relieves pain and enhances blood flow with gentle suction, or Metagenics® nutritional supplements to your enhance recovery. 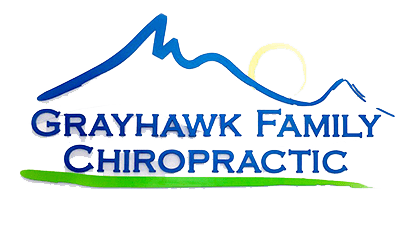 If you’re suffering from a sports injury, call Grayhawk Family Chiropractic, LLC or schedule an appointment online today for integrative, drug-free treatment.